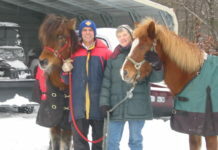 You might remember a recent post featuring Sarah Sinnott of Ireland and her Connemara Pony, Blue. The photo below was one she sent to us, showing Blue bringing Sarah to her wedding. 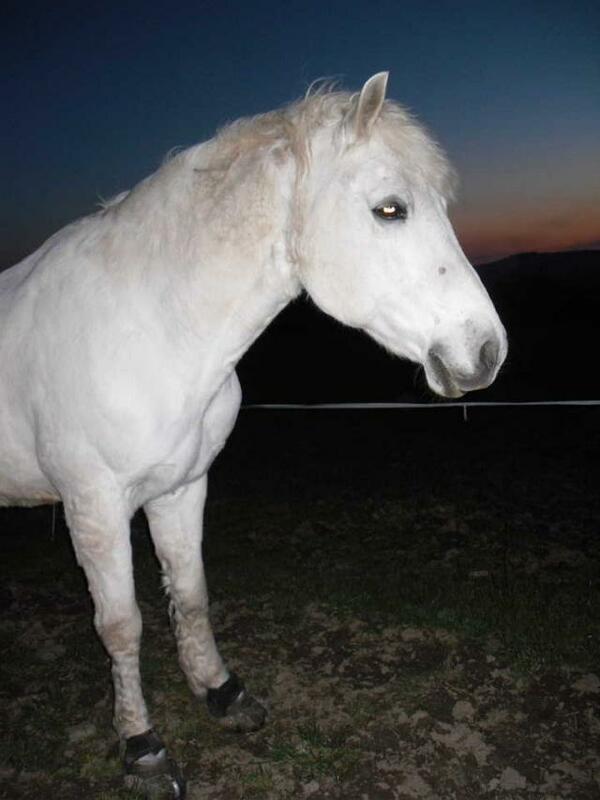 Everything looks fabulous in this photo, but Blue has recently been suffering from hoof problems. 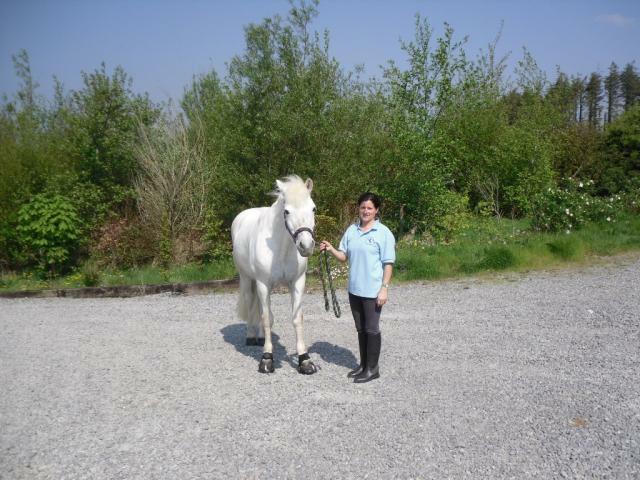 Sarah has been using Easyboots over metal shoes to help ease Blue’s hoof troubles, at the advice of her farrier. 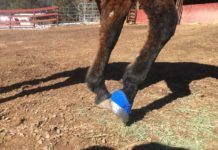 Using our boots over metal shoes does void all warranties, but we always recommend doing what feels best to you and following the advice of your hoof care professional. We’re happy to report that in a recent update from Sarah we learned that Blue is doing great! 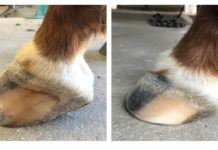 He’s out of his Easyboot RX therapy hoof boots and into Easyboot Epics, and as you can see in these latest photos, he seems to be feeling a lot better. 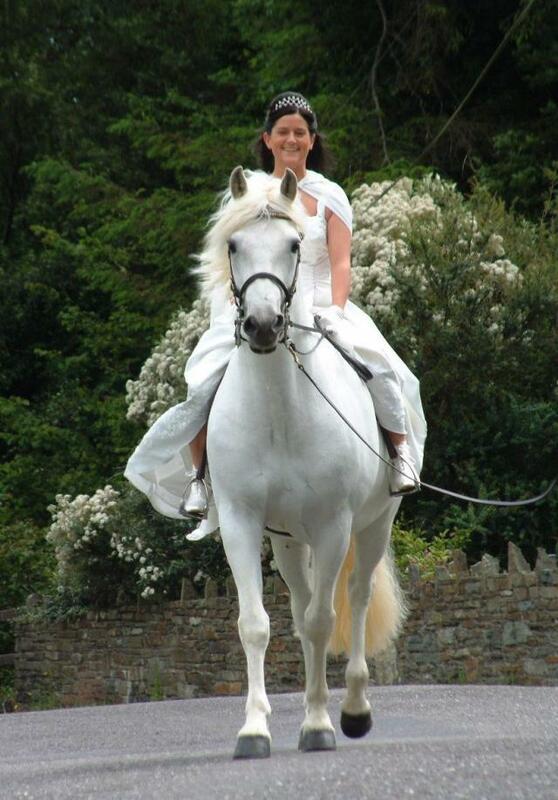 And then we heard from Jenny Noton from the Bantry Pony Trekking in Cork, Ireland, who placed an order for Easyboots. I recognized that she was in the same area as Sarah, so of course, I emailed Sarah. Sarah says, “I’ll see her on Sunday at the local show. She’s lovely, has a daughter called Martha, lovely people. I’d say it’s another friend of mine, Debbie, that has told Jenny about Blue’s boots.” I heard later that Martha won her class. 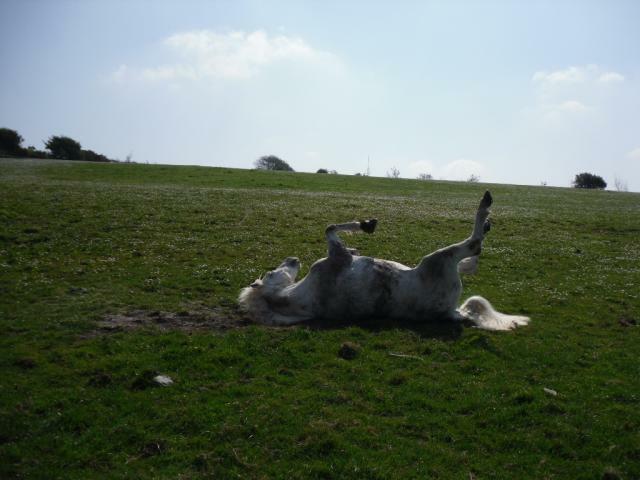 The word keeps spreading around the world about EasyCare’s protective horse boots.